Ambattur is a residential neighbourhood of Chennai, located in the Ambattur taluk of the Thiruvallur district in the Indian state of Tamil Nadu. It was made part of the Chennai Corporation in 2011. Closer to Anna Nagar, Padi and Avadi, Ambattur is a fast developing residential locality and manufacturing hub of Chennai. It covers an area of 45 km². The neighbourhood is served by Ambattur railway station of the Chennai Suburban Railway. Ambattur has its origins in a village of the same name which can be located at present as areas opposite to Ambattur telephone exchange. With a host of landmarks nearby, from IT parks to schools and hospitals, Navarathina is present in a neighbourhood which is far from the chaos yet close to all necessities. Sir Ivan Stedeford, chairman of Tube Investments, United Kingdom, was instrumental in starting the TI factory and TII complex in the country. This resulted in the establishment of the TI Cycle factory in a mango grove in Ambattur by 1951, and manufacture of the 'Hercules India' bicycle soon began. 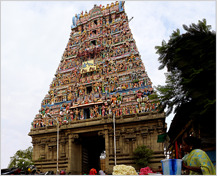 Ambattur is a good locality closer to Anna Nagar, Padi and Avadi. Ambattur Eri, Chithu Oragadam Lake and the bigger Puzhal eri are its main water bodies. The economy of Ambattur is mainly industrial. 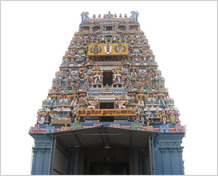 The Arulmigu Subramanya temple in old MTH Road is one of the oldest temples in Ambattur. Ambattur is a very nice location. It is just 2 kms from Ambattur bus stand, 3 kms from Ambattur railway station. Transport facility is good in this locality. Schools, banks, ATM's and hospitals are available nearby the locality. Ambattur is a very posh locality. Ambattur has all the advantages of modern amenities as well as it has a serene, spacious, well planned locality. It has close proximity to local markets, banks, ATMs, schools, hospital, railway station and malls. 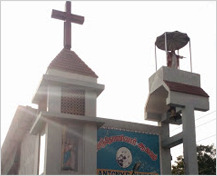 Ambattur is a very decent and peaceful residential locality. It is within 5 kms distance of the Ambattur Estate IT Hub. Many schools and hospitals are at close proximity. Transport facility is also good in this locality. 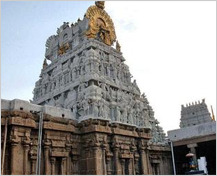 Ambattur is a very good residential locality, well connected with the other parts of the city through trains, buses and public transports. Transport facility is very good in this locality. Schools, banks, ATM's and hospitals are available nearby the residential area.